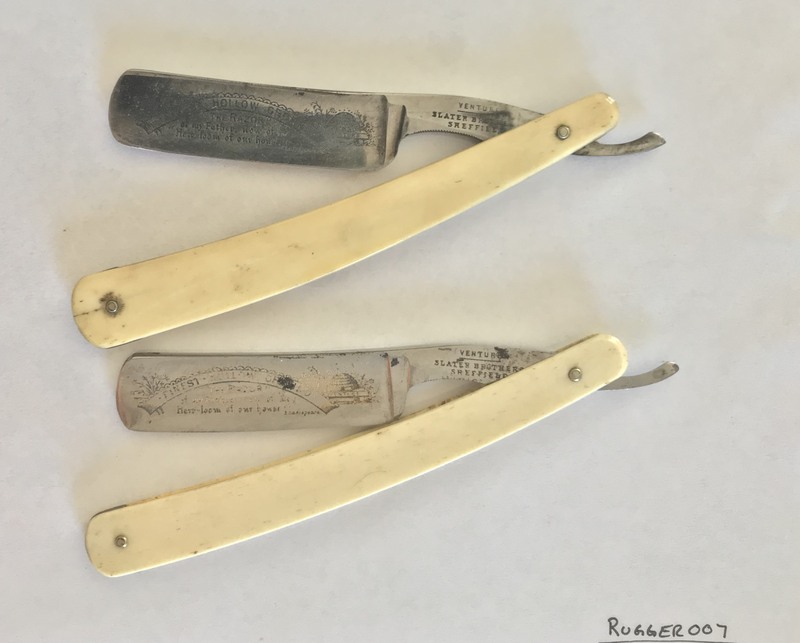 Recently came across this beautiful set of Slater Brothers Venture Razors. They are in incredible shape and couldn’t have been honed more than a few times. At the moment they are unpinned and and sitting on the work bench. The blades are nicely polished up and am now just waiting for some new washers to arrive. Once they are here they will get pinned and honed. I’ll post some pics of the finished blades. Nice find, Rugger. I can't wait to see them when you've completed their restoration. It’s coming along nicely. 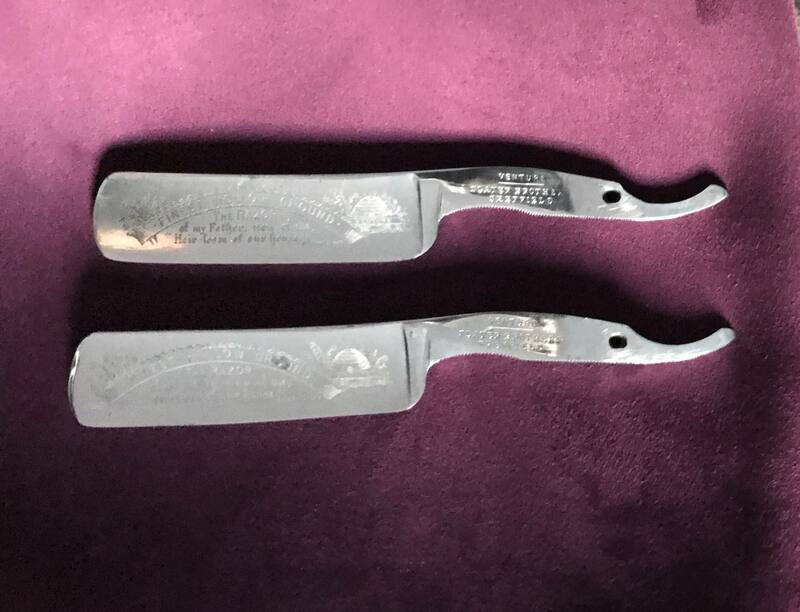 I have cleaned and polished the blades, although I have left a bit of patina which I feel showsntheir age nicely. The scales had a fair bit of oil soaked into them so they are currently soaking in some white gas which will dissolve the oil and once removed the gas will evaporate completely leaving the material ready for a coat of ren wax. Pins are in the mail and I was able to locally source 1/16th nickel silver rods. Unfortunately the box was not salvageable, so I’m just going to have to make a new one. It’s all coming together nicely. The washers finally arrived, letter mail from the US to Canada is crazy slow, it took over two weeks. I found some 1/16th nickel silver rods locally which was perfect, I love the look of the nickel silver over brass. The first one is finished and pinned. Now it just needs a date with the stones and a shave. The other should be done tomorrow. They cleaned up nicely and look to be in good shape. They are great lookers as well. Nice. 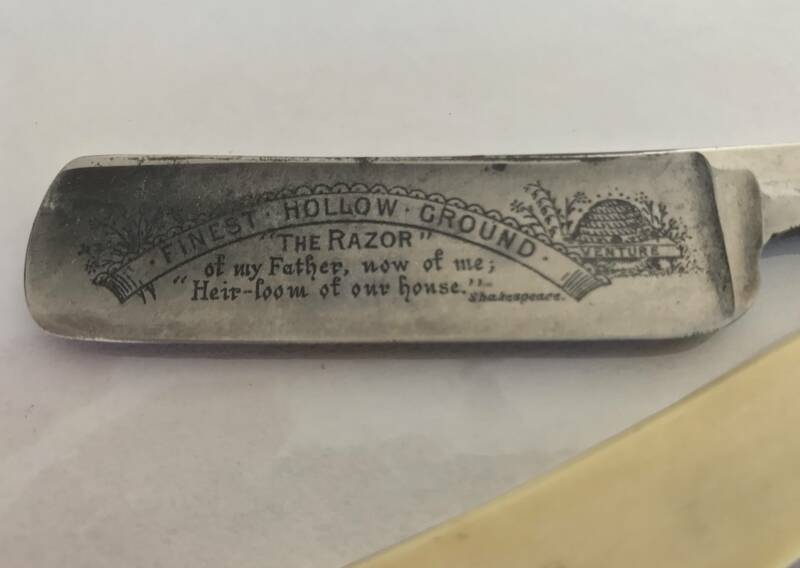 That is a fantastic razor. (09-09-2018, 07:40 AM)kingfisher Wrote: Nice. 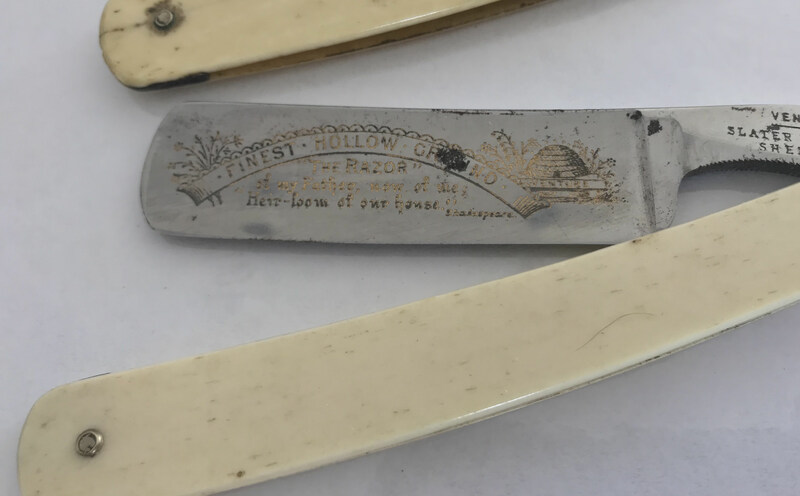 That is a fantastic razor. 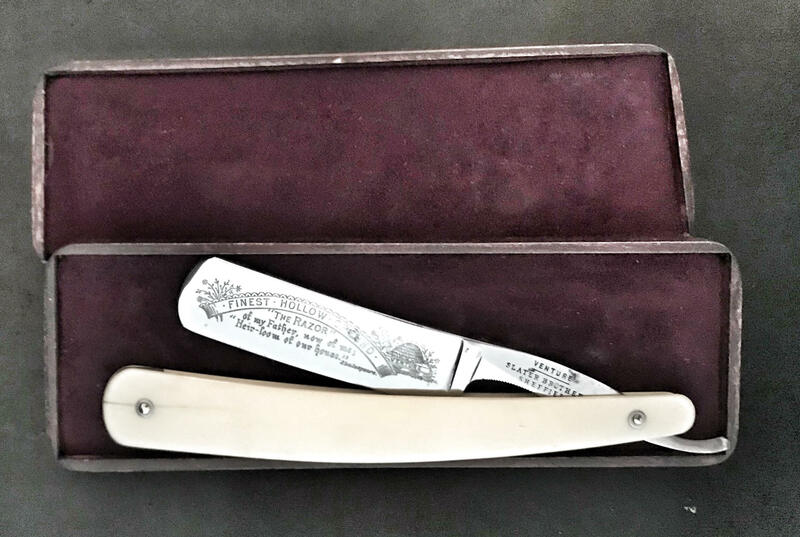 I took the afternoon to finish up the second razor and got it honed up. The scales gave me a bit of trouble but it pinned and the blade sits perfectly. 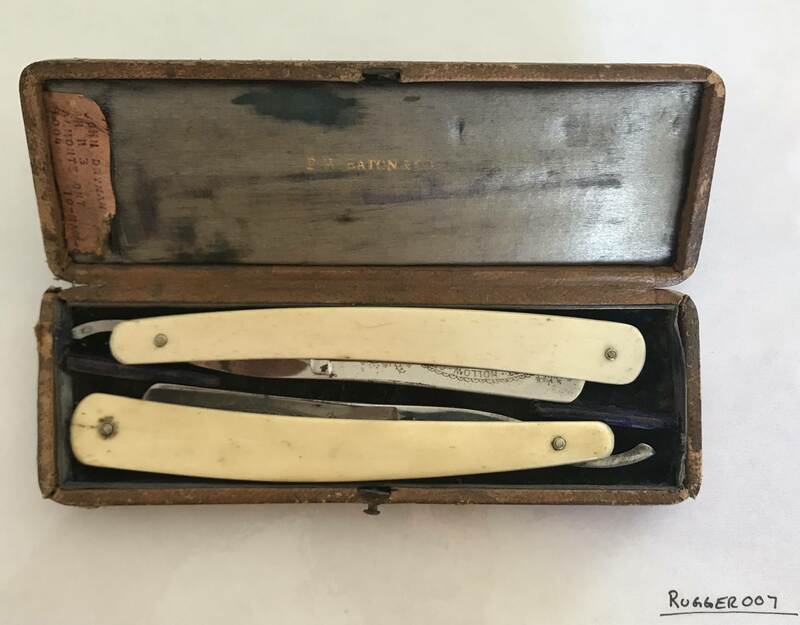 Both razors still have the original scales and wedge, unfortunately I had to build a new box as the old one was falling apart and was I salvageable. I honed it up on a beautiful Kiita koppa and finished it on a Celebrated Water Razor Hone. 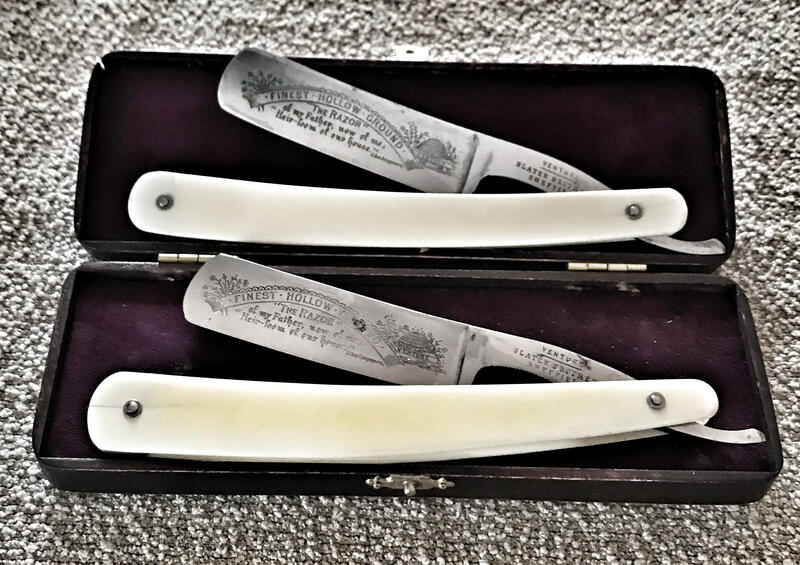 The edge is just as beautiful as the blade, Jnat sharp and Escher smooth. So glad I found this set, they are amazing and will definitely be keeping these for the long haul.